Another golden era in the club's history arrived in the 1970's and with it under the guidance of Danny Quain(RIP), Ned Mc Inerney(RIP) and Jimmy Arthur came the club's third Intermediate County title in 1970 after a gap of 37 years. Hurlers like the O Gorman brothers, Jim Browne, Seanie Keyes, and the Boyce's brought the club back to Senior Status when Smith O Brien's were defeated in Tulla. 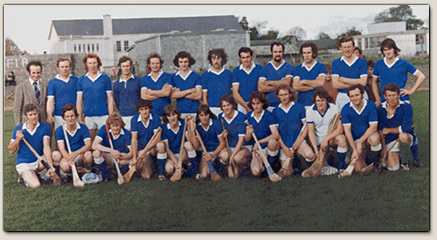 Newmarket on Fergus were the to the fore in Clare Senior Hurling at the time and in 1971 Cratloe felt it would have a better chance at gaining honours in the grade with an amalgamation. 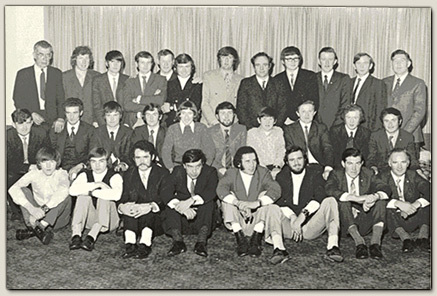 The club joined forces with Killaloe under the title of Brian Boru's but didn't progress far in championship fare, until in 1972 when under another amalgamation as St. Senan's along with Clonlara the club were beaten in the County Senior Final by Newmarket. In the mid seventies Cratloe contested within the intermediate grade on their own and agonizingly were beaten in two county finals in 1979 to the hands of Tulla and in 1980 to Kilmaley. However the team was rewarded in 1977 when they were victorious in the intermediate league as well as lifting the clubs third Junior A championship when beating Inagh in 1976. J. Carew, S. Boyce, P. Quin, C. Carew, G. Quin, J. O Gorman, E. McInerney, N O Halloran, C. O Neill, J. Browne, J. Stritch, K. Bentley (Capt. ), C. Moloney, M. O Gorman, S. Keyes, M. O Neill, J. Quain, S. Quin, F. Carew. S. McInerny, T. Cherry, S. Quin, F. Carew, P.Quin, S. Boyce, J. O Gorman, C. McInerny, M. Murphy, J. Browne (Capt. ), M. Quain, C O Neill, S. Reidy, J. Boyce, J. Fawl, S. Keyes, K. Bentley, M. O Halloran, M. Gleeson, T. Mangan, D. Mulcahy, J. Stritch, P. Considine, J. Ryan, P. Ryan. S. McInerny, S. Reidy, C. Carew (Capt. ), P. Quinn, C. McInerney, J. O Gorman, T. Considine, S. Keyes, M. Murphy, J. Browne, M. Quain, J. Boyce, J. Fawl, C. O Neill, M. O Neill, M. O Halloran, B. Gleeson, R. Keogh, M. Gleeson, D. Mulcahy, T. Mangan, S. Boyce, D. Chaplin, T. Cherry, T. McMahon.